It seems we’re always fundraising at Nu-Heat! Over the last few months we have raised close to £4000 for various good causes. Earlier this year, we sadly lost a friend and colleague, Kate, to cancer. This was a real shock, and spurred Nu-Heat’s keen cyclists to get together, arranging a charity ride in her memory with all proceeds going to CLIC Sargent. 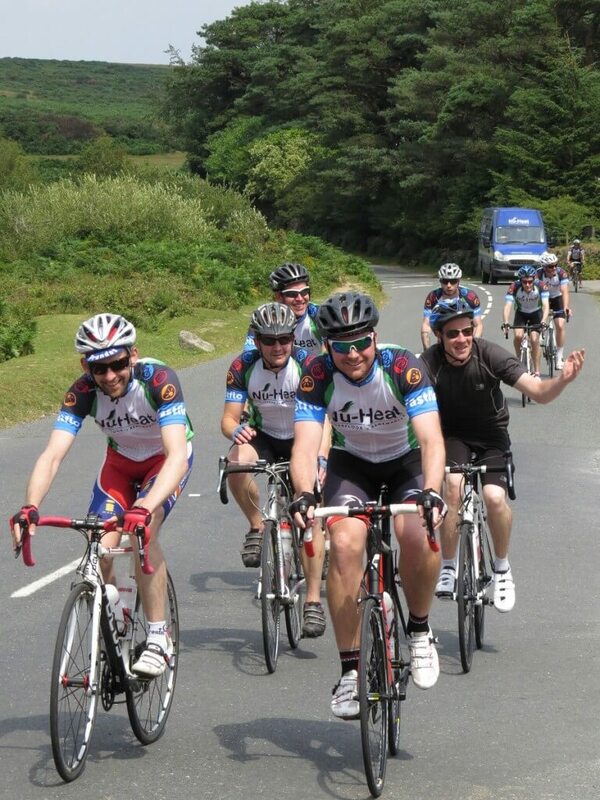 The route chosen was a gruelling 45 miles, from Colyton to Haytor and the team took five hours to reach the finish line, pushing on in 34 degree heat! They were greeted with cheers at the finish line where a picnic and raffle were also held, all for the charity. Nick, our Senior Systems Administrator, who organised and participated in the event, said: “We all miss Kate terribly and wanted to do something in her memory. The team smashed their original target of £500, raising in excess of £1200 for Kate’s chosen charity, CLIC Sargent. Each year, Nu-Heat holds a Summer Party for all the team and their families. It’s always a great event with plenty of food, music, and of course, fundraising. This summer, the party was held at a great local venue, the Deer Park Hotel in Honiton. We all enjoyed pizza from the outdoor pizza oven and activities including archery, falconry and a bouncy castle for both children and the big kids! The raffle was a real hit this year with some fantastic prizes up for grabs, from iPads to CentreParks vouchers, many of which were kindly donated by our suppliers. In total, the company raised £1585 to be split between CLIC Sargent and Devon Air Ambulance. 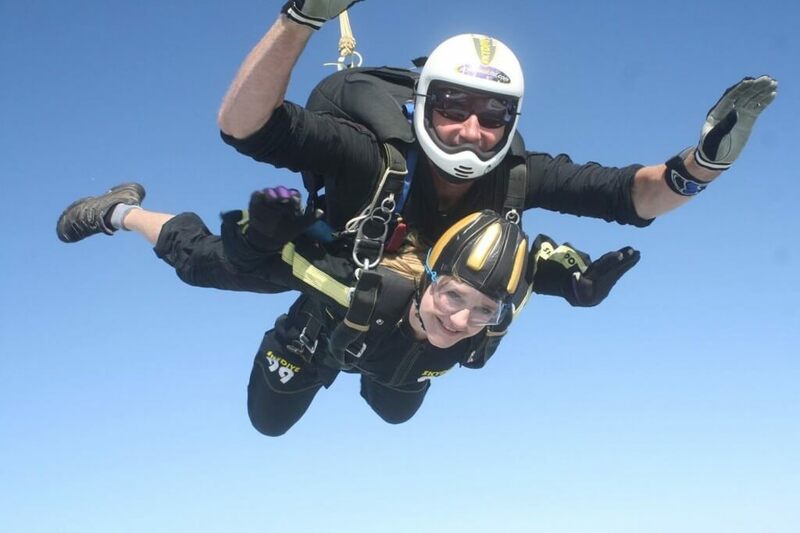 Nicola, one of our Estimators, bravely took to the sky for Alzheimer’s Society. This is a charity that is close to her heart as Nicola’s Grandad was recently diagnosed with the early stages of the disease, so she felt it was the perfect cause. Friends, family and colleagues all supported her efforts and Nicola ended up surpassing her fundraising target, raising an impressive £427! There’s one sure way to raise money in the Nu-Heat office, and that’s by baking plenty of cakes! 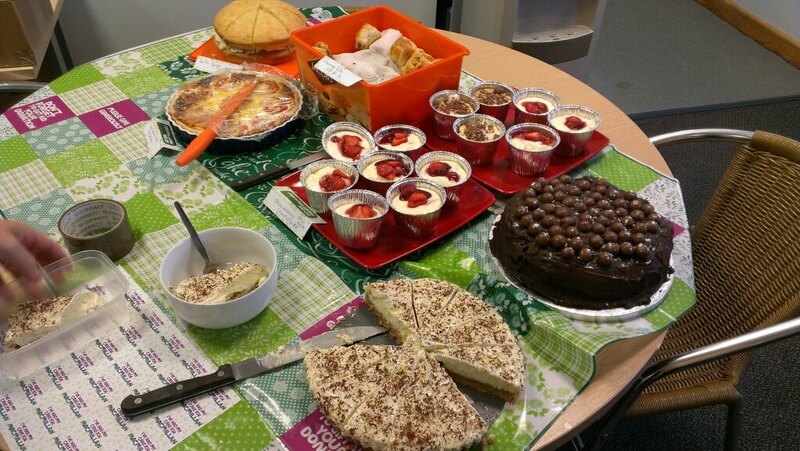 Jenny, our receptionist, came across Macmillan’s Coffee Morning and helped to arrange a company-wide bake-off. There was chocolate cake, cheesecake, more chocolate cake, Emma’s famous key lime pie and many, many others. By the end of all our munching, we had raised just over £125!